Have you seen any of the updates on The Human Death Race Documentary website lately? You HAVEN’T?! The Human Death Race Documentary is capturing all areas of the Death Race. Straight from the documentary description, “Now, for the first time, the thrilling intensity of the annual Death Race is revealed. We examine the psychological process of how fear can be converted into excitement, how the impossible can be transformed into ecstasy, and how a better quality of life can be achieved.” As part of the process of creating this documentary a group of Death Racers, including myself, have been selected to follow and document through everything leading up to the race and taking place at the race. We have been asked to film clips introducing ourselves and then various shots from our training sessions. Take a look at some highlights from some of the racers that are being followed by 100th Monkey Productions. Returning for more action after her first place finish at this Winter’s Death Race, Nele Schulze is coming back for more at this year’s Summer Death Race. 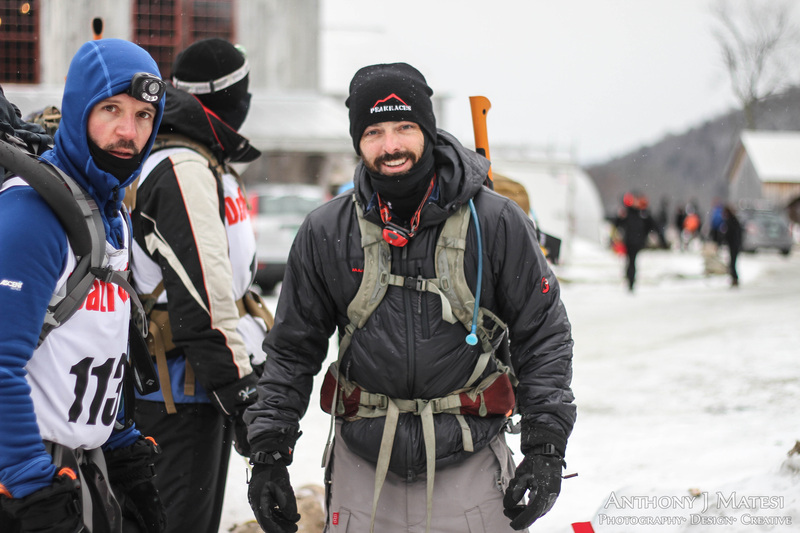 I was very impressed with her performance at the Winter Death Race and I am excited to see how she does when we are out there on the mountain this summer. Keep your eyes out for Nele. Also returning is, Mark Webb – one of the best “mates” I know – for his 4th appearance at the Death Race, 2nd Summer. Mark and I will be traveling from Manchester, NH together to the race. We’ll be sure to get some great pre-race footage together. 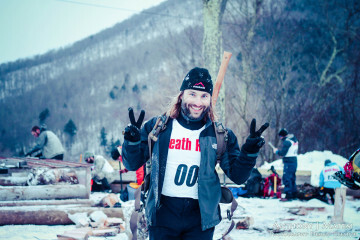 From the land of California comes a friend that I connected with while suffering for over 20 hours with the original “TED the Tire” at last years Death Race, Daren de Heras. 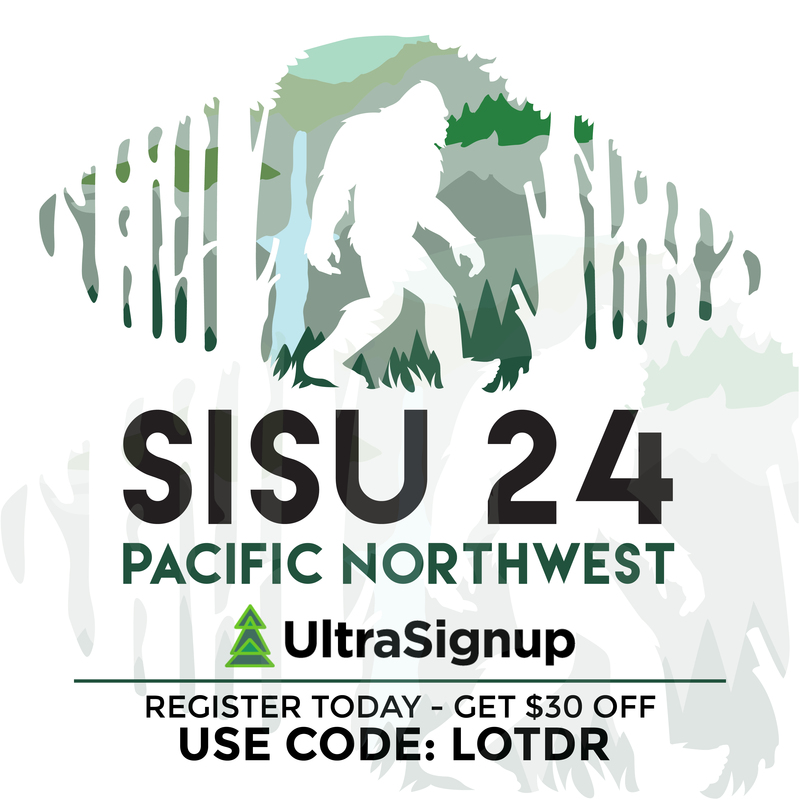 He is returning for his 4th Death Race with many others from Team SISU who have become one of those families of obstacle racers that you just feel welcome being part of. Oh ya he’s celebrating his 40th birthday on the mountain with us too. Should make for one hell of a celebration once we get our skulls. I am also looking forward to seeing Michelle Roy compete again this years at the Death Race. 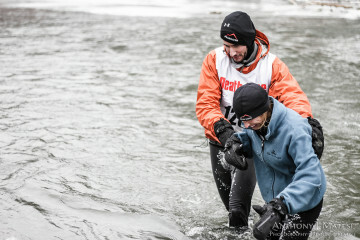 She is one incredible woman and demonstrated an amazing amount of courage a the Winter Death Race this year. I was absolutely stunned by her ability to face her fears as she battled the frigid waters they were forced to suffer in for hours. There are many others entering the “danger zone” that you should keep your eyes peeled for as they take on one of the most challenging and grueling races this side of the universe. To keep up to date on these racers and the others head over to the Human Death Race documentary and follow us as we enter the final weeks of preparation for the unknown, the uncertain, and the unforgiving world of the DEATH RACE. It’s almost here. See you all in Pittsfield, VT, I’ll be at the General Store. Do you have an ETA on when the Documentary will be completed? It was delayed, but I think they might be able to restart production soon. I’ll ask what’s up.